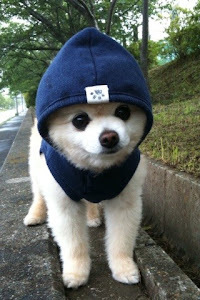 Small dogs are often associated with socialites or fashionistas, who like to carry them around in their purses. The epitome of style, they sit fancily on their owner's laps and yap incessantly. But people forget that a dog, big or small, is still a dog, and how it behaves depends on the owner's attitude and its training. Tiny dogs are just as loving and loyal as a regular sized dog, and are extremely popular with kids and adults alike. Their tiny stature, in some cases, have set records for being the smallest in length or height. Big Boss, a Yorkie, was 4.7 inches tall and was the smallest dog (height) in 2002. 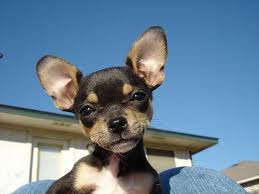 Danka, a Chihuahua was the 2007 Guinness world record holder, with 5.4 inches in height and 7.4 inches length. Another contender, Ducky, a Chihuahua from Massachusetts, replaced Danka, being 4.9 inches in height and weighing 1.3 pounds! The current smallest dog in the world in terms of height is Boo Boo, a 4 inches high, 24 ounce Chihuahua, who eats out of a tea spoon. She's small enough to sit in a woman's shoe. Heaven Sent Brandy is another Chihuahua, who is the world's smallest dog in terms of length. She measures 6 inches in total. Sylvia, a Yorkie from England, was the smallest living dog in history. She measured 3.5 inches in height and 2.4 inches in length, and weighed 0.11 kg. Below are the top four tiny dog breeds and a brief description. What a chihuahua lacks in size, he makes up in intellect. Alert and quick with a yappy bark, the chihuahua is territorial and needs patience and kind handling. It requires minimal grooming and little exercise. They are famous "purse dogs". At 6 to 10 inches tall, weighing no more than 6 pounds, it is known as the smallest dog breed. They make excellent watchdogs and are fearless, so they need a firm hand on the leash. They love to challenge dogs twice their size! No 3 on the American Kennel Club's most popular dogs in the U.S. list, the Yorkshire terrier is a sociable, toy dog breed that is alert and lively and devoted to its owner. Standard height is 8 to 9 inches, weight is around 4 to 7 pounds. It is extremely vocal and must be trained to stop yapping. The breed is prized for being highly intelligent and easily trainable. An ideal companion, Yorkies love human company and their long luxurious coats need little grooming. They require moderate exercise because of their highly energetic nature and excel at dog sports. Shih Tzu means "lion dog" in Chinese and this breed was a royal court dog in 7th century China. This small dog has a distinctive arrogant walk and style, with its nose in the air and tail curved over its back, almost as if to say "im the best"! However it is a companion dog, with good bonding skills and extremely loving. An excellent watchdog, good with kids of all ages, the Shih Tzu is an indoor dog and needs minimal exercising. Even though his long, flowing coat needs grooming, it is a low shedder and stands 8 to 11 inches tall, weighing 9 to 16 pounds. It is ranked 10th on the AKC's most popular dogs list. Fancy, sophisticated, with an oo-lala attitude, the poodle is actually a sensitive, energetic and loving dog, who loves the entire family. A poodle is extremely perceptive of human emotions and moods, and has a distinctive personality of its own. He is great at agility and games, has loads of stamina and needs a good exercise regime. Toy poodles stand 10 inches or below, with ideal weight between 7 to 9 pounds. Poodles need brushing and clipping regularly. Properly clipped and coiffed, the poodle is a stylish small dog breed.